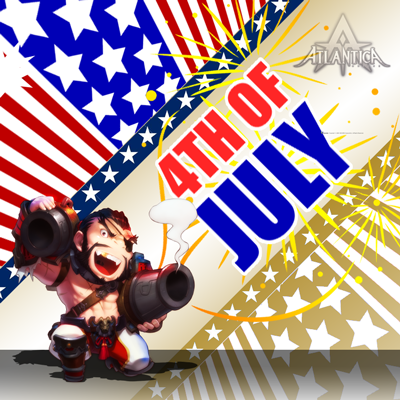 Happy 4th of July, Atlantians! Celebrate with us today and enjoy freebies and bonuses today! Enjoy 3x Hunting and Crafting EXP, +30% Attack and Defense bonuses. And get a free Stars and Stripes Decoration and home decoration as you log-in to the game! Good luck and have a great day, Atlantians!